Pet Industry News has made the decision that from June 2019 the magazine will be digital only. With postage costs rising every year it is becoming very difficult to produce a hard copy of the magazine and distribute to the industry. I have received strong support from our regular advertisers and with reduced prices we hope to encourage more of the smaller companies to promote their products through the magazine. Pet Industry News is Australia & New Zealand’s only pet trade magazine. Published four times a year, around 4500 digital copies of PIN are sent free of charge to pet shops, aquariums, kennel/catteries, grooming business, wholesalers, major vets, etc. throughout Australia and New Zealand and around the world. The success of the magazine in getting the message about our advertisers products has been proven over the past 28 years with many companies advertising since day one. Advertising in Australia’s only trade magazine has now been made affordable with a variety of sizes enabling even the smallest business to promote their products through our magazine. 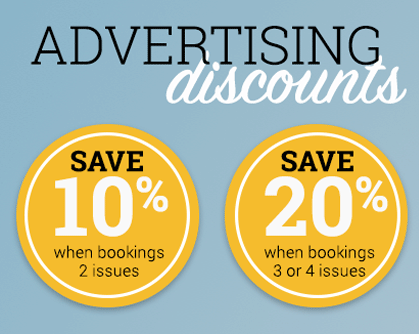 We have a number of products available for advertisers ranging from double page spreads to email newsletters. We also offer advertising in the Directory of Suppliers- Quick & easy reference for your customer to find you. Located at the back of the magazine and online, list your companies detail of all states of Australia, New Zealand or the UK. Fill-in the form below for your advertising needs or use the contact us page for further information. Online Only $55.00 p.a. $55.00 p.a. Online and in state of your HO $145.00 p.a. $145.00 p.a. Online and in every state $440.00 p.a. $440.00 p.a. For press ready high resolution PDF’s use the following specification to write a press ready high resolution PDF from a postscript file. PDF files in Acrobat Distiller. In PDF format, please ensure the fonts are embedded, there are no low-res or missing image, all images are CMYK, any crop/trim mark have been offset by 5mm and you have included enough bleed on the job. Do not incorporate colour bars or registration marks-only trims. Please supply a high-resolution image of your logo as a JPG or PDF. For the on-line entry as above but up to 500 words on your company and/or products. Please supply an image of the logo of your main products (agencies).